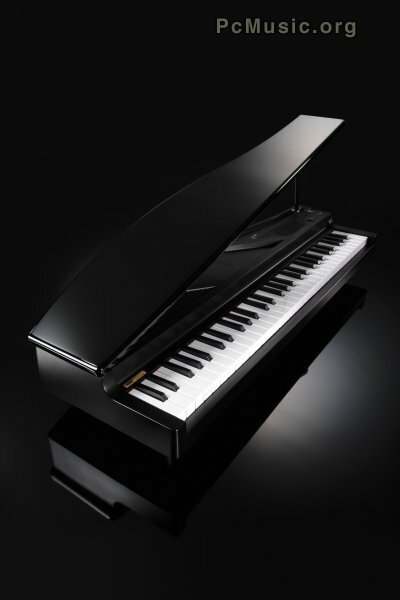 The microPIANO borrows its piano sound (and stereo piano samples) from Korg's flagship digital pianos. In total, there are 61 vibrant and authentic sounds available. Keyboard sounds go beyond the traditional pianos to include electric pianos, harpsichords, accordion, celeste, organs, clavs, toy pianos and more. In addition, there are also flutes, strings, harps, bells and mallet percussion sounds – marimbas, vibes, steel drums, even kalimbas and music boxes. Of these 61 sounds, 25 are "Short Phrase Sounds" that can automatically generate phrases simply by holding down a key. For example, piano sounds that provide a left-hand accompaniment in the lower range, allowing the melody line to be played with the right hand; organ sounds complete with phrases from famous pipe organ compositions; and more.